Linon Elegance Cream/ Red Area Rug (5' x 7'3) - 5' x 7'3"
Rug Squared Lakewood Red Rug - 3'9" x 5'9"
This Elegance area rug features an eclectic mix of designs and colors in a transitional pattern. The modern color palette of cream and red with flecks of color make this rug a fresh, eye-catching piece for any room in your home. 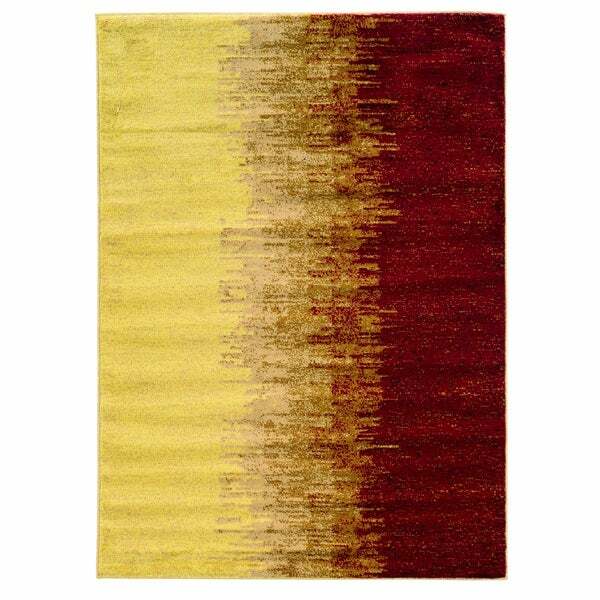 "The picture looks like this rug is yellow and red (which is what I want) but the description states Cream and red. Is there a way to get an image of what it really looks like?" Rug Squared Lakewood Red Rug - 5'3" x 7'4"
Nourison Karma Vintage Distressed Red Area Rug - 6'7" x 9'6"